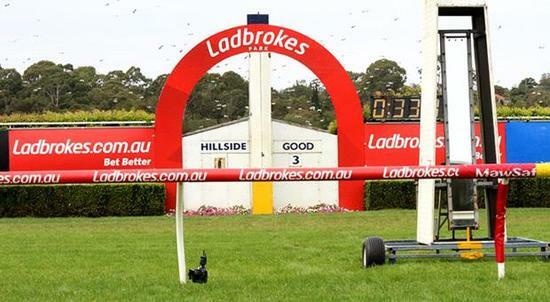 The Craig Widdison Yard will supply two runners in the form of Cagney and Baby Don't Cry to the Ladbrokes Park Hillside Sandown meeting on Wednesday, July 19 with 8 events to be run, under proposed showery conditions, the rail position is out 12 m the entire circuit. The first of the Widdison runners will enter in race six with Cagney a last start winner to be ridden by Ms Nikita Beriman in the Mypunter.com Handicap over a thousand metres with a field of 13 to take part. Cagney is a five-year-old Bay gelding, having raced on nine occasions for three wins and two placings earning prize money of just over $43,000. Last time out he won the prize over a thousand metres at Corowa, finishing first of seven with Ms Chelsea McFarlane the pilot arriving 0.84 lengths in advance of Brightly Goes racing on a heavy eight. The final stable runner will compete in race eight with Baby Don't Cry to be ridden by Ms Nikita Beriman jumping from barrier 10, in The Le Pine Funerals Handicap over 1400m with a number of scratching's reducing the field to 12. Baby Don't Cry is a five-year-old Bay mare having won on five occasions and placed six times from 25 starts earning prize money exceeding $133,000. Last time out in a Mares BM90 with Daniel Moor aboard, the runner arrived 7.70 lengths behind Sullivan Bay with a race time of 1:11.48 recorded. The stable wishes connections the best of luck at Sandown Hillside on Wednesday.